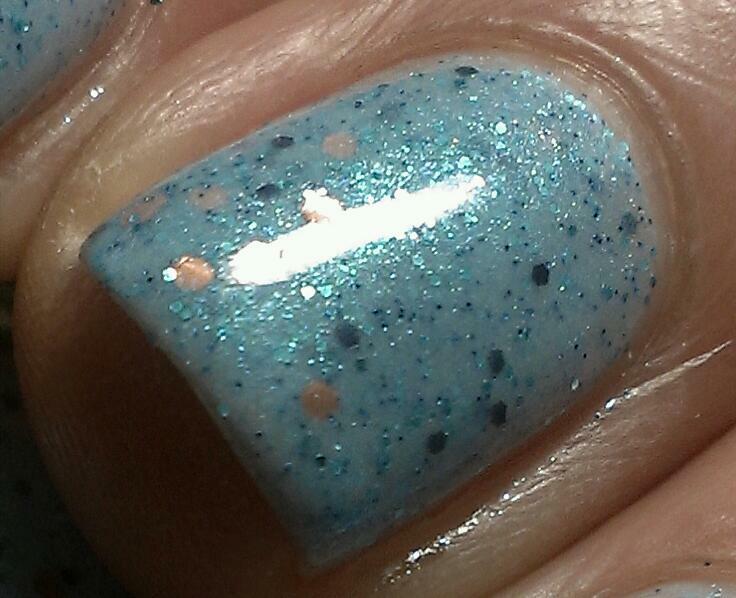 I did three coats, formaula was really nice on this one. This is a pretty blue base color! not sure it's for me but you knew that didn't you? I like it but I dont know about the name. This doesnt look like GTL to me. i am DYING for this one!!! Awww, this is sooo lovely, gorgeous! I'm a little bit in love with this polish!! I love blues! This is really pretty! Absolutely beautiful but the wrong color for a GTL named polish. it's really pretty! I got some Dollish polishes some time ago but I haven't got the opportunity to try them all...what a pitty they are so gorgeous! This color is so lovely and murky and dusty ♥.